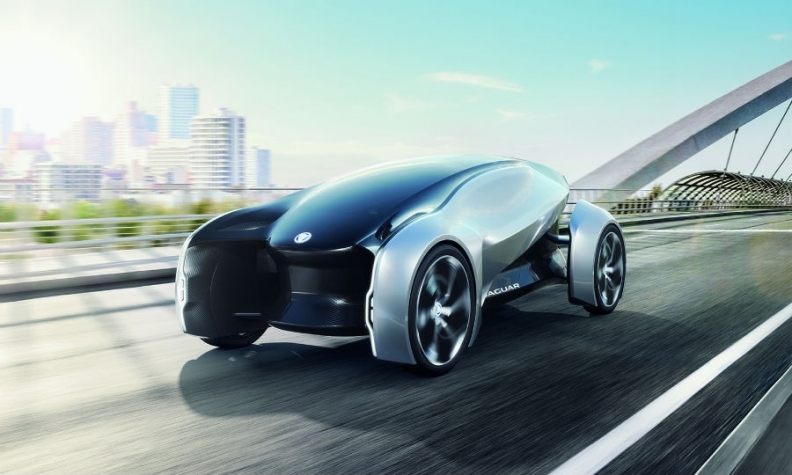 The Future-Type electric concept has three seats that allow passengers to face each other. Jaguar thinks future drivers may not own a car. Instead they will have a personal steering wheel that they attach to a self-driving vehicle from a car-sharing pool. 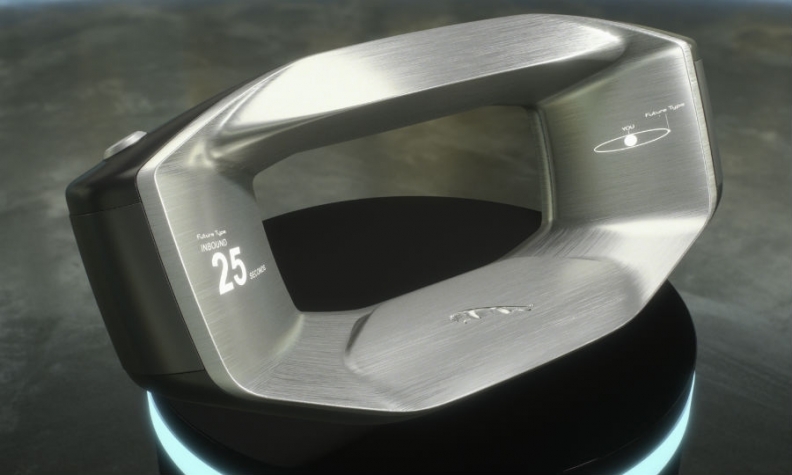 Jaguar unveiled the steering wheel on Thursday in London in its Future-Type concept, which looks forward to 2040 when the automaker predicts cars will be ordered on demand rather than owned. "In a future world of on-demand and shared mobility, you may only fully own the steering wheel, not the car itself," the company said. The wheel would operate much like the Amazon Echo or Google Home devices and respond to voice-activated commands. Jaguar says it could be used not just to summon a car, but also to order pizza or play music. From the comfort of your living room, the wheel also could work out when you need to get up for an appointment, when a car needs to autonomously arrive at your door and even advise which parts of the journey you might enjoy driving yourself, Jaguar said. On a self-driving car, the steering wheel could be in control or the driver could take back the steering function when they want to drive themselves. Besides the Sayer steering wheel, the Future-Type electric concept has three seats that allow passengers to face each other if they wish. The seating arrangement allows the car to be narrower to make it easier to drive and park in cities. A streamlined design aids aerodynamics, thus increasing the range between charges. The Sayer steering wheel is named after Malcom Sayer, the designer of the E-Type sports car. Jaguar sees the Future-Type concept and the Sayer steering wheel as a way to make sure the automaker can continue to be desirable in a more digital and autonomous age. "If there’s a choice of on-demand cars driving around city streets, we need to ensure customers desire our 24/7 service over our competitors," design director Ian Callum said in a statement.